A commitment to excellent oral health can benefit your entire life. With regular visits to a skilled general dentist in Virginia, you can enjoy a healthy smile for years to come. Why Should You Go to the Dentist? You might be wondering, “Why is it necessary to visit a general dentist near me?” Visiting your family dentist regularly is essential to achieving good oral health. Without regular dental exams and cleanings, tooth decay and gingivitis can cause structural damage to your teeth. Severe dental issues can often be expensive and painful to fix, so it’s important to detect and treat dental problems early. What Services Does a General Dentist Offer? A general dentist provides comprehensive dental services that help preserve your natural teeth. These general dentistry services include dental exams, X-rays, oral cancer screenings, and dental cleanings. General dentists also administer routine procedures like tooth fillings, crowns, and other restorations. Give us a call today to learn more about our services. How Frequently Should You See a Dentist? How often you should visit a dentist general practice depends on the condition of your teeth and gums. While healthy people may only need to visit the dentist every six months, those with diagnosed dental health problems may need to visit more frequently. How Much Does a Dentist Visit Cost? The cost of your initial dental appointment will depend on what treatments are needed and whether you have insurance. Please give us a call if you have questions about pricing or payment. How Do Dentists Clean Teeth? A dental cleaning is an essential part of maintaining the health of your teeth. During this procedure, a dental hygienist will use a variety of instruments to clean the hard-to-reach areas of your teeth. Professional cleanings can prevent plaque and tartar from damaging your teeth and gums. How Long Does a Dental Appointment Take? Most dental checkups last about an hour. The length of your appointment will depend on what treatments are provided and the condition of your teeth and gums. What Do the Numbers Mean When a Dentist Is Checking Gums? When a general dentist is checking your gums, you may notice that he or she will assign different numbers to areas of your mouth. Known as dental charting, these measurements will help your dentist diagnose gingivitis or periodontitis. Typically, healthy patients will measure anywhere from 0 to 3 millimeters, with 7 millimeters or more indicating very severe gum disease. Why Is Dental Health Important? 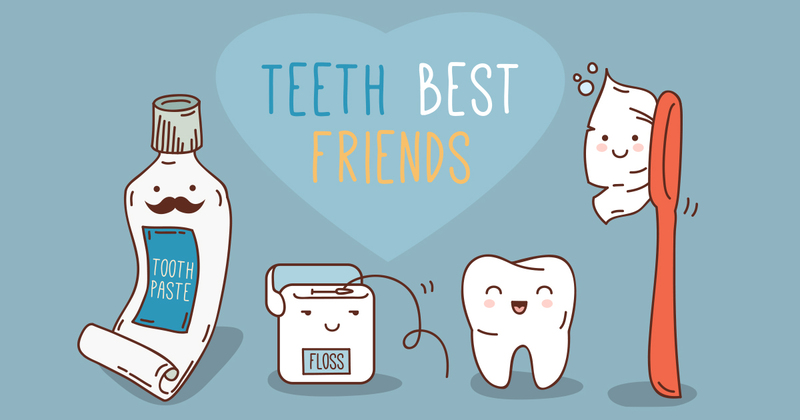 Maintaining the health of your teeth and gums is beneficial for your entire body. Not only do regular visits to a general family dentistry practice ward off gum disease and tooth loss, they also reduce the risk of chronic inflammation throughout the body. Heightened inflammation in the body is linked to stroke, heart disease, and other medical conditions. Call us today to achieve better dental health through quality oral care. Are you looking for a way to repair your damaged teeth? Then, perhaps you should consider a tooth crown. Learn more about this effective dental solution below. Losing an adult tooth can change your appearance and make it difficult to chew and speak. Despite the loss, you can still have an attractive smile with a dental appliance. Our dentists in Virginia offer dental fillings to treat cavities. Dental fillings can also be also used to repair cracked or broken teeth. Ask about tooth-colored fillings that make your mouth look more natural and attractive. Oral hygiene in Virginia plays an essential role when it comes to enjoying lifelong dental health. With routine dental cleanings from our office and a dedicated home dental care regimen, you can achieve a winning smile. Confidence in the ability of Dr Miller to meet my dental needs over the years. Best dental experience I have ever had. I went in terrified and left very happy and actually able to say I loved the dentist. Had my teeth cleaned today by Jennifer. She was wonderful and I will keep going back to her. Very professional care and everyone in the office is friendly. Dr. Valleru is awesome! Her staff is always nice and friendly. Always willing to help. They have the best front desk team. Always a pleasure seeing them and Dr. Valleru. Thank You Dental One! Been going for years, always outstanding service! Staff friendly and take me right on time for my appointment ! Excellent care by Dr Lyn. Dr Miller is a great dentist. The team there is always nice. The office staff is friendly and efficient, the dental technicians and dentists are excellent, and the location is convenient. A good experience getting old filling replaced.